Let's give it a little intro on this subject. I am an Invisalign user since November 2015 and currently on my second treatment, so called refinements. When I first started using Invisalign, the idea was to give some feedback on this subject on a more frequent basis, but to be honest, I just forgot! 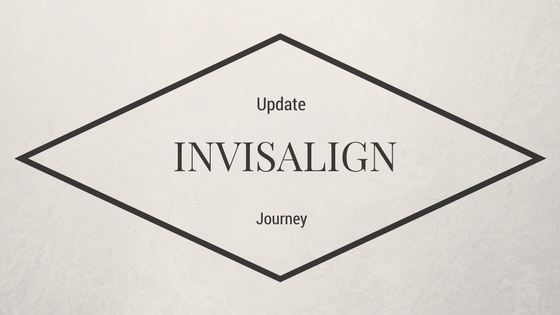 Using Invisalign became so normal, that switching between aligners is not a "happening" anymore. Initially, I was going to do just one treatment with 19 aligners, but at the end, even though my teeth were straight, due to their shape, empty spaces were visible in between the upper part of my teeth. The so called "black triangles". After a talk with my Ortho, we decided to continue the treatment. Did another session of IPR, to reshape some of my teeth and as off today I am on my very last set of aligners: 13/13!!! 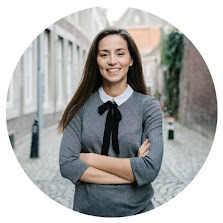 If you are not 100% happy regarding the way your smile looks like, that the step and visit an Orthodontist to ask for advice; you might not regret it! As my treatment is approaching its end, I am still not sure if I should continue for some extra small corrections or not. Once you get in this mind set of getting your teeth in good shape and condition, you may fall in the trap, and never be satisfied. Let's see how far I will go. But before I go, here's a pic of my aligners at the moment. I've always wondered what Invisalign was like! I looked into it, but was told my dental issues can't be solved with it. Alas! So glad it's worked for you! Must be an amazing feeling that you're almost done! Pity you can't have them. I experienced some pain for the first couple of days but I have a friend who has had them for months, She told me to get involved in something to get my mind focused on something else and you'll forget about them rather quickly. I took her advice and by the third day I was able to forget about them until I went for lunch. Let's talk Moonlight, shall we?